In the aftermath of the Charlottesville “”Unite the Right” rally that left many wounded and resulted in multiple deaths, cities across America aren’t delaying any longer. Several cities have just decided to go ahead and remove their confederate monuments, rather than continuing to delay the inevitable. 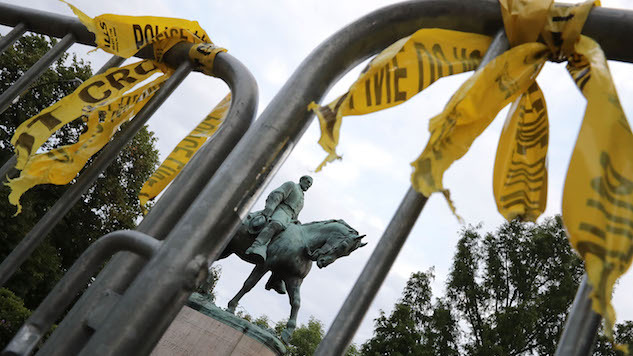 This weekend’s rally exposed the inherent racism and high tensions behind many of these statues, and several Southern cities would rather get ahead of things and remove them before any more controversy is conjured up. ... And several other cities across America are trying to handle protestors for and against removal of Confederate statues and monuments, as well. It’s a tricky situation, but one that’s likely best handled with expediency. Find more of Paste’s Charlottesville coverage here.